Warm spring, cold spring ... warm spring, and now suddenly back to cold spring. Things are moving fast, but sometimes it is too cold to dwell on it. 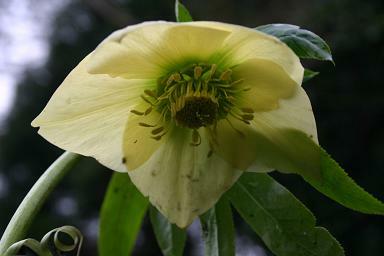 Helleborus x hybridus Hilliers Yellow . 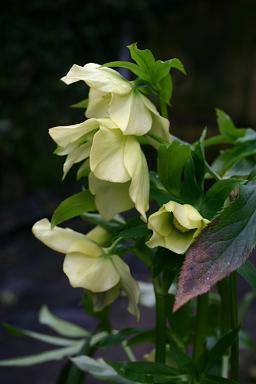 This splendid plant is the largest flowered yellow hybrid that I have see. The large rounded flowers droop from the tips of the stems. I selected this seedling from the Hilliers Yellow strain for its rich yellow flowers, produced in abundance. 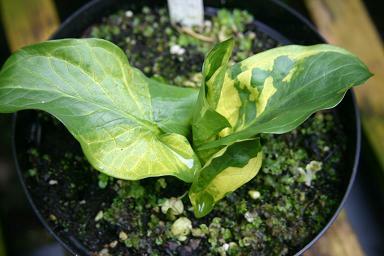 Arum maculatum 'Painted Lady' . The native Lords and Ladies grows in many gardens, and it isn't always welcome, however this pretty variegated selection is outstanding. The pattern varies on every leaf, and as it springs out of the ground it is always exciting to see what the leaves will be like. 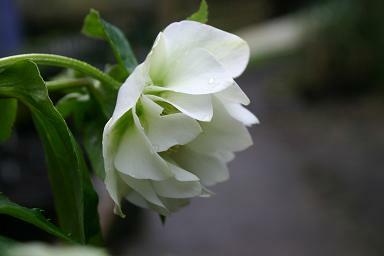 Helleborus x hybridus Mrs Betty Ranicar . This is one of a small number of named forms. At present, Hellebore breeding is moving forward so fast that the older forms and selections are being eclipsed very rapidly.